Russia's Dep. Foreign Minister promises to work with China, Europe, to protect Iran deal. 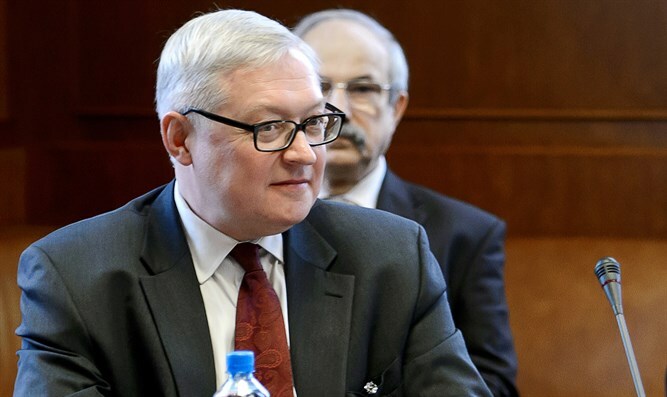 Russian Deputy Foreign Minister Sergei Ryabkov called on European companies to not cooperate with the pressure exerted by the United States on Iran. "Russia and Iran will continue to work intensively with China and Europe against US attempts to strike at the nuclear deal," Rybakov said. The 2015 nuclear deal offered Iran relief from sanctions.in exchange for restricting its enrichment program. However, Iran did not keep the deal and continued developing its nuclear weapons program. In May, US President Donald Trump withdrew from the deal., and in August, he signed an executive order targeting Iran's access to American dollars and steel and automobile industries, banning trade with Iran in gold and other precious metals, and including other sanctions which were lifted under the 2015 deal. The European Union (EU) has urged its members to continue trade with Iran and attempted to institute a "blocking statute" to protect companies which ignore the US sanctions.